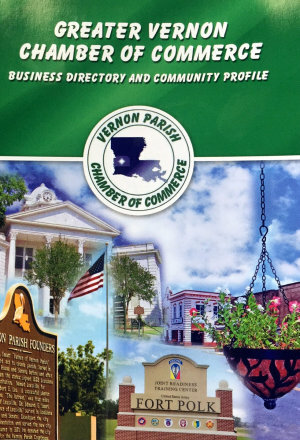 There are six incorporated communities in Vernon Parish: Anacoco, Hornbeck, Leesville, New Llano, Rosepine and Simpson. Vernon parish’s total area of 1,342 square miles is compromised of 1,328 square miles of it is land and 13 square miles of water, making the total area 0.98% water. Click here for information on demographics. About 16.2% of the population were below the poverty line. As of the census of 2010, there were 52,334 people residing in the parish. The population density was 39.4 people per square mile (15/km²). The racial makeup of the parish was 75.70% White, 14.2% Black or African American, 1.4% Native American, 1.8% Asian, 0.50% Pacific Islander, and 4.1% from two or more races. 7.2% of the population were Hispanic or Latino of any race. 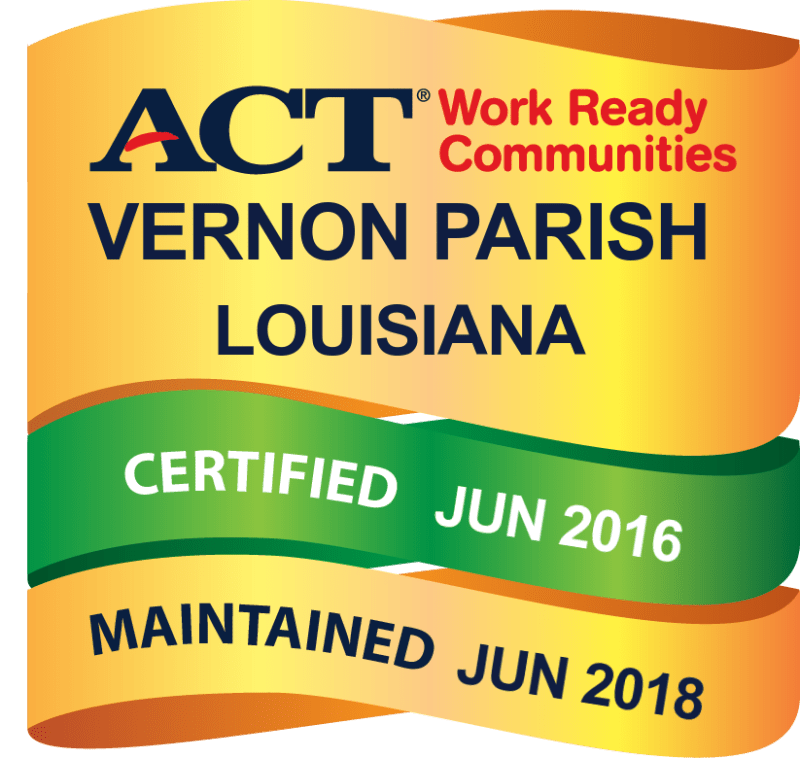 For a complete listing of Area Attractions, Fairs and Festivals and more in Vernon Parish, contact the Vernon Parish Tourism Commission at (337) 238-0783, Toll Free (800) 349-6287, email: Info@VernonParish.org or visit their website at vernonparish.org. 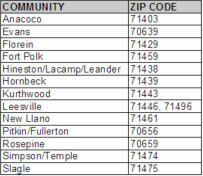 The city has compiled a list of city parks HERE. With the abundance of trees in Vernon Parish, a nature-lover can walk through the many forested areas to his heart’s delight. Any water-sports enthusiast can find fun at Vernon Lake, Anacoco Lake or Toledo Bend Reservoir known for world-famous bass fishing, with 1,200 miles of shoreland. Kisatchie National Forest is teeming with serenity at Little Cypress Pond, Fullerton Lake or Kisatchie Hills Wilderness Areas. History buffs can browse through the Museum of West Louisiana on South 3rd Street in Leesville, then stroll up Main Street to the historical Vernon Parish Courthouse. The Leesville Main Street program is a certified Main Street with the National Trust of Historic Preservation. The Main Street District boundaries are from South 171 (6th Street) to First Street and from Mechanic to University Parkway (HWY 467). The Leesville Main Street program encourages revitalization through economic stability. It is composed of four committees: Design, Organization, Promotions, and Economic Development. These four committees work together to encourage stability and economic growth by bringing merchants and consumers into the Main Street District. To learn more about the Leesville Main Street program, you may call 337-423-5110 or 337-239-2444 .